Large living rocks dating back to the primitive life blanket the landscape of Flower's Cove along the coastline of Newfoundland Labrador, Canada. Tourists come here to explore and take a picture or two of these intriguing rock formations known as Thrombolites. 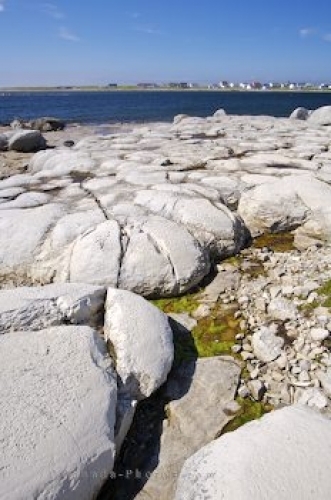 Picture of the Thrombolites at Flower's Cove in Newfoundland Labrador, Canada.